A beautiful, walkable, historic downtown with safe, well-lit streets and easy free parking along with plentiful downtown housing is the foundation for our age-friendly city. The building blocks are not all in but we have a pretty good start with recently declaring the city golf cart friendly, having all of our parks ADA accessible including the James E. Grey Preserve with raised wooden walkways for easy access to wheeled vehicles such as walkers, mobility scooters and wheelchairs. Next to the Recreation and Aquatic Center is the Claude Pepper Center and Senior Health Clinic and near-by at City Hall you will find employees and a large volunteer contingent who are of social security age but are holding important positions that help to keep the city running smoothly. 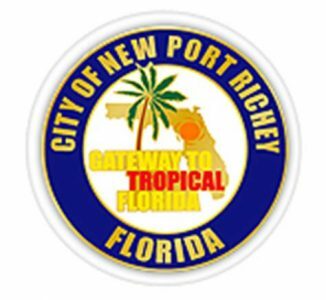 The New Port Richey City Library is downtown and easily accessible by private vehicle and public transportation. The library offers free computers to use, classes for seniors in a number of categories from chair yoga to writing your autobiography, all free of charge and encouraging social interaction which helps to negate social isolation. The CARES Center offers free computer classes, art classes, knitting, quilting, free legal advice, bridge, dance and much much more and is also easily accessible by public transportation and private vehicle. A task force with members of all ages will to be established to work on a road map to creating a move age interactive community and will include representatives from the City of New Port Richey, Cares Community Center, The Area agency on Aging, Pasco Aging Network, the Chamber of Commerce, West Pasco Business Association, Baycare Hospital, New Port Richey Main Street Organization, The New Port Richey Rotary, The New Port Richey Recreation and Aquatic Center and local citizens from Neighborhood Associations, People Places, Kaiser University, West Pasco Historic Society and the School Board.